Founded in Newport Beach, California, in 1980, PacSun began as a small surf shop and now has more than 600 stores around the U.S. To keep up with its competitors which also target Gen Z consumers, PacSun recently reported its multi-year plan to deploy a unified omnichannel experience. The aggressive goal is to enable a seamless customer experience across all channels by the end of this year. So far, the brand integrates shoppers cell phones for fast checkout, in-store pickup, and fitting room assistance through improving its in-store WiFi at all of its locations. Work remains on both the website and email experience to achieve a truly seamless experience. PacSun’s mobile app is well-designed with beautiful photography showcasing the active lifestyle that fits with the brand. The user experience is just as great, well organized and easy to navigate, and personalized. 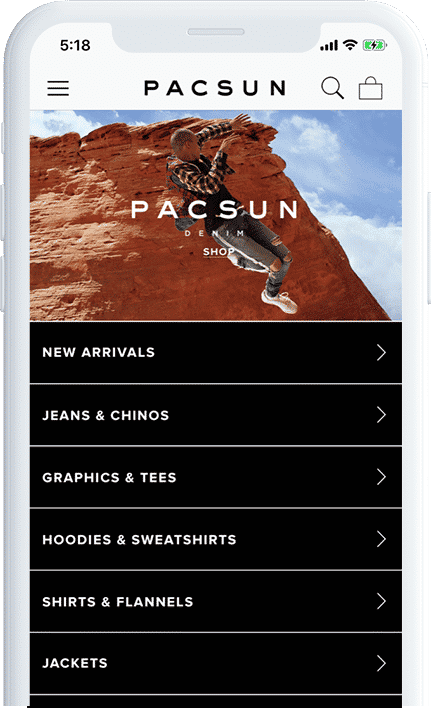 PacSun app users have access to their online shopping carts, and receive behavior-based push notifications and in-app messages with personalized discounts. 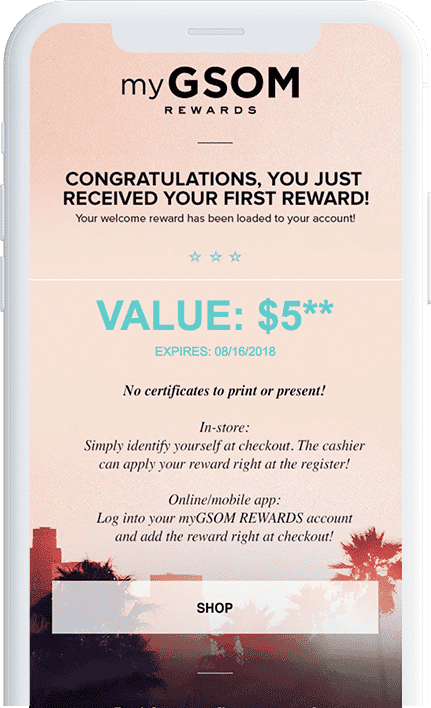 The app also makes life easy for shoppers by housing sales, events and loyalty program rewards in one place. myGSOM Rewards is a particularly generous loyalty program. Customers earn points for purchases, of course. But PacSun also rewards them for tasks such as opting in to receive push notifications or checking in at a store. Reading an email is worth 15 points, which must keep the brand’s open rate as high as the waves in Hawaii. 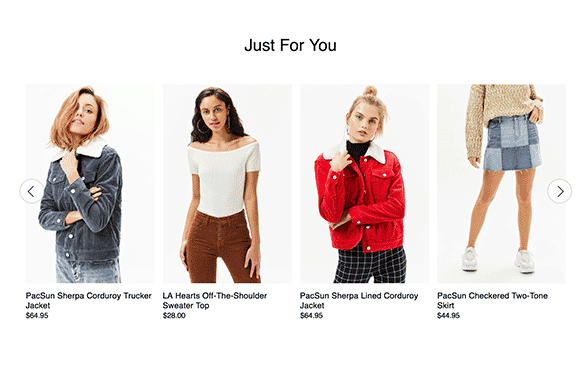 PacSun uses attribute-based recommendations that take a shopper’s browsing history into account. Once the brand has a sense of someone’s style, the California-cool items recommended in Shop the Look become that much more relevant. One thing we’d love to see is more complementary recommendations about completing the look, rather than just shopping it.